SlimPatch is CE marked to show it meets all relevant European Union Directives. It is also manufactured in accordance with the USA’s FDA GMP guidelines. SlimPatch is a totally natural product. It is not a medicine, instead a carefully formulated natural application. Anyone in good health can use the SlimPatch Slimming System. Pregnant and lactating women, people suffering from diabetes, hypoglycemia, serious heart or thyroid problems or allergy to glucose should not use this product, without authorisation and/or supervision of their doctor. You are advised to see your doctor before beginning any weight-loss programme. The use of this product is intended for persons over the age of 18 years only. Please read the usage directions carefully before commencing the course, in the unlikely event of any side effects or adhesive allergies occurring, please cease using and seek medical advice immediately. Fucus Vesiculosus: Burns fat. Has been widely researched and accepted by the UK Medicines Control Agency (MCA) as a suitable active ingredient for oral administration in herbal medicines, with a medical claim for the treatment of obesity. Inclusion in publications such as The Homeopathic Review, Allen's Encyclopedia of Pure Materia Medica, the Pharmacopeia by the American Institute of Homeopathy, and the United States Homeopathic Pharmacopeia. 5-HTP, Guarana, Zinc Pryuvate, Yerba Mate, Flaxseed Oil, Zinc Citrate, Lecithin, L-Carnitine. Our patches are not a crash diet system; weight loss is healthy and gradual, as it should be — between 1 to 3 pounds per week. However we all know that everyone is different. We suggest completing the 30 day course for maximum benefit. How quickly will I start to lose weight? This really does vary from person to person, however most users notice a decrease in their appetite within 7 days. For some it can take over 2 weeks but the results will come if you stay patient, positive and complete the 30 day course. Why is the patch method better than pills? The patch uses a transdermal method of delivery—allowing the skin to absorb the elements within the patch. This can eliminate or diminish several disadvantages commonly experienced by users of pills. A transdermal patch delivers medication to the body at even, consistent levels over several hours. Unlike pills which must be taken several times a day, the transdermal patch method requires only a single application. Does it hurt or burn? There is no burning sensation associated with patch use. Removing the patch is no more painful than removing a plaster. The only reported side effect we have ever encountered is from those people who have extremely sensitive skin and as such have a reaction to the adhesive used on the patches. 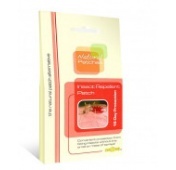 If you are able to use plasters (band-aids) you will have no problems with our patches. What if I am taking other medication? Our patches contain only 100% natural ingredients and we have never had any conflicts with other prescription medication, however, your health is of the utmost importance and we always recommend that you consult you doctor if you have any concerns. What happens when I stop using the patches? What happens after you have lost weight with the patches and stop using them depends entirely on your lifestyle and diet. If you have a lifestyle and diet which is healthy you will be able to maintain your weight without any problems. In short, the patches will not cause you to gain weight after you stop using them. Will it make me anxious or make me unable to sleep like weight loss drugs? No the patch will not make you anxious or unable to sleep. The patch is not a drug. The transdermal patch delivery absorbs into your body gradually instead of one large dose like one gets with a pill. Also, we do not use any ingredients which are associated with a racing heart or trouble sleeping. Do I have to wear the patch on a certain part of my body? You can wear the patch on any hairless area of your body. We suggest when on holiday under your bikini for example. Does it come off in water? Our patches will not come off while showering, bathing or swimming. Who can use the Natural Patches SlimPatch? 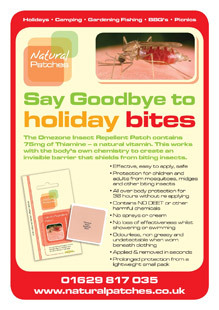 Anyone in good health can use the Natural Patches SlimPatch for safe, effective weight loss aid. People with pre-existing medical conditions or are taking prescription medication should consult with their doctor before using the patch. This product is not recommended for children under 18 years of age. This product should not be used by pregnant or lactating women. If using the SlimPatch do I need to diet or exercise? All successful weight loss programs should include exercise, a calorie controlled diet and drinking plenty of water. Fucus Vesiculosus: A natural sea plant extract that has been used for hundreds of years by traditional healers worldwide to aide varying ailments. More recently it has been used by both herbalists and conventional practitioners to help in weight control. 5 HTP: During dieting, serum tryptophan levels and CNS serotonin levels drop dramatically. These low serotonin levels in obese patients have been associated with carbohydrate cravings and resultant binge eating. 5-HTP can help prevent this dieting-associated decline in serotonin, thus enhancing weight loss. Three clinical trials in obese patients have demonstrated decreased food intake and subsequent weight loss with 5-HTP supplementation. Guarana: An extract of the Guarana plant, which was original used by Amazonian Indians as a stimulant and a treatment for stress. Zinc Pyruvate: Technically, pyruvate is really a combination of highly unstable pyruvic acid and other substances like calcium, sodium or potassium, added to stabilize pyruvic acid. This new compound is used to enhance fat burning, boost endurance, increase lean muscle mass, decrease blood glucose and lower blood cholesterol. Yerba Mate: is an evergreen member of the holly family, it grows wild in Argentina, Chile, Peru, and Brazil, but is most abundant in Paraguay, where it is cultivated. In 1964 one group of investigators from the Pasteur Institute and the Paris Scientific Society concluded that Yerba Mate contains nearly all of the vitamins necessary to sustain life. Yerba Mate is often used as a staple food, sometimes substituting for such important foods as bread and vegetables. It easily eliminates the sensation of hunger and can impart as much invigoration as a full meal, according to the well-known Chilean herbalists J. Zin and R. Weiss. Flaxseed Oil: Despite all the concern about fat in our diet, the body does require fat to function. The problem is that most people are getting the wrong kinds of fats in their diet and are lacking the so-called “good” fats in their diets. The human body cannot function properly without two polyunsaturated fats - linoleic and alpha-linolenic acid. These fatty acids, which are found in Flaxseed Oil are essential to normal cell structure and body function. Lecithin: Contains Choline & Inositol which are essential for the breakdown of fats and cholesterol. It helps prevent arterial congestion and distribute bodyweight, increase immunity to virus infections, cleans the liver and purifies the kidneys. Zinc Citrate: Zinc is required for many functions in the body, including growth, taste and smell, nucleic acid synthesis, keratin metabolism, sexual development and function in both genders, bone and joint metabolism, wound healing, brain development, nerve function and behavior, and lipid and carbohydrate metabolism. Copyright © 2018 Transdermal Patch Products Ltd. Website Design & Developed by instaCommerce. All rights reserved.